The concert opened with Puccini’s string quartet Chrysanthemums performed here by string orchestra. Fisch wound Puccini’s long melody lines with elegiac introversion and the darkly sonorous string sound was a dramatic contrast to the sparkle of Haydn’s Symphony No 26 which followed; Fisch’s honing of string sound is becoming a hallmark of his relationship with the orchestra. Haydn’s Lamentatione Symphony was marked by aggressive fingerwork by the violins and flourishes from valveless (Classical era) horns. Stewart Smith’s sensitive accompaniment from harpsichord enriched the Adagio movement particularly. The theme of mourning continued with Rossini’s Stabat Mater, a work that bristles with drama and – oddly enough – humour. Fisch delineated all the detail: the troubled opening queries from bassoon and double bass, the pizzicato whispers and the bold contrapuntal triumph of the Amen chorus. Soprano Rachelle Durkin sung with crisply articulated ornaments and brought irate animation to her Inflammatus aria. Jacqueline Dark was warmly sorrowful in the second soprano role and Daniel Sumegi’s bass was appropriately grim. John Longmuir sung with a beautifully polished tenor sound (floating out a melting falsetto D flat) and his martial nobility brought a black twist to Rossini’s curiously comic Cujus animam. 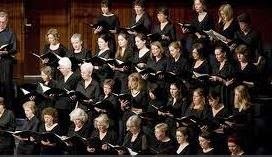 But the greatest feat on Friday night came from the WASO Chorus directed by Christopher van Tuinen and coached by Andrew Foote. The 100-strong group sounded clean, united and convicting. Rossini offered multiple solos to the bass section and the men responded with glowing contributions. The pinnacle was the a capella Quando corpus morietur, normally sung by the quartet of soloists but here delivered with great dramatic impact by the full choir, singing completely from memory. This was a compelling program revealing the depth of talent currently in operation at WASO. This review copyright The West Australian 2014.